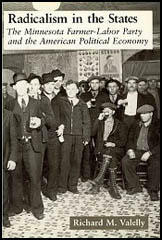 In 1936 the American Labor Party (ALP) was formed by left-wing supporters of Franklin D. Roosevelt and the New Deal. This included Abraham Cahan, Sidney Hillman, Louis Waldman and David Dubinsky. The ALP put forward a left-wing, non-socialist, program. Its 1937 Declaration of Principles stipulated that there should be a "sufficient planned utilization of the natural economy so that coal, oil, timber, water, and other natural resources that belong to the American people... shall be protected from predatory interests." The following year, ALP member, Vito Marcantonio was elected to Congress where he represented East Harlem's 20th District. The ALP also supported Fiorello La Guardia, in his successful election campaigns to be mayor of New York City. In 1937 the ALP polled 482,790 mayoral votes for La Guardia, more than 21% of his vote. Its main political base was working-class Jewish neighborhoods. In the 1948 Presidential Elections the American Labor Party gave its support to Henry Wallace and the Progressive Party. Although Wallace finished in fourth place both Vito Marcantonio and Leo Isacson won seats in Congress. Isacson and Marcantonio both lost their seats in Congress and the American Labor Party came to an end in 1956. I do not believe in the deportation of any man or woman because of the political principles that they hold. Irrespective of what a person advocates, he or she should not be molested, because our Government has been based upon the principles of freedom of speech, freedom of the press, freedom of religion and freedom of thought. I disagree with the Communists. I emphatically do not agree with them, but they have a perfect right to speak out and to advocate communism. I maintain that the moment we deprive those with whom we extremely disagree of their right to freedom of speech, the next thing that will happen is that our own right of freedom of speech will be taken away from us. Freedom of speech, if it means anything, means freedom of speech for everyone and not for only those who agree with us or who are in the majority. The founders of our Nation intended freedom of speech to mean freedom of speech for all, especially for the smaller minorities. They keenly felt the necessity for this protection. They had been persecuted by Tories and reactionaries. Then they were called "rebels" and hounded by bigots and suppressionists of that day. Today the brothers of the Tories of 1776 would abolish what the rebels of 1776 have given us - freedom of speech. I say that I believe the Communists, the Socialists, the Republicans and the Democrats have a perfect right to advocate what they believe in, and that there should be no law depriving them of that right. This type of legislation (Kramer Bill) is not really aimed to protect our Government and its institutions, because it is not necessary and would be only cumulative legislation to achieve such a purpose, but it is aimed at depriving certain minorities of their rights to express themselves on the various economic and social questions confronting our country. It is aimed by many of its advocates to suppress protests on the part of the oppressed, forgotten men and women, and the unemployed. It is aimed at labor when labor becomes militant on the economic front. I realize that there are some abuses of freedom of speech. Are those abuses of freedom of speech so numerous or so dangerous that they warrant a curtailment of freedom of speech? I ask you to bear in mind, to contrast, and to weigh the abuses that result from freedom of speech and the evils that result from a curtailment of freedom of speech. The evils resulting from the curtailment of freedom of speech far outweigh the abuses. This has been the experience of every democratic people throughout the world, and that is why laws such as the Kramer Bill [providing fine and imprisonment for anyone making or circulating an oral or written statement advocating the overthrow of the government by force or other unlawful means] are rare in democracies. We remember the history of the Alien and Sedition Acts which the Federalists forced on this country. The abuses that resulted from that curtailment of freedom of speech were so enormous that they swept out of existence for all time a political party which was dominant. This is no time to curtail freedom of speech. This is a period...when the greatest freedom of speech should prevail. Never before in the history of our country have economic and social questions so agitated our people. With the 12,000,000 unemployed, with thousands of farms being foreclosed, the situation demands not suppression in any form but the fullest and freest expression. Let us call a halt to the consideration of this type of legislation and let us turn our attention to adequate employment, direct and work relief, relief to the farmers, genuine social security - and fight the danger of war and reaction. Mr. Chairman, if there ever was a real subversive danger to these institutions, it does not come from the left, it does not come from the radicals, it does not come from the liberals; it comes from the right, from the extreme reactionaries. The real danger to our cherished institutions comes from the organized reactionaries in America who are ready, even with violence, to overthrow our Government and establish a dictatorship of reaction in this country. 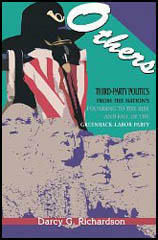 Labor, the farmers, and the unemployed are liberty-loving Americans. They need freedom of speech; they need unlimited freedom of speech at this time more than ever before. When you curtail, under the guise of such legislation as this, the right of these groups to free speech, or the right of the minorities, even the radical minorities, to freedom of speech, you are playing directly into the hands of those reactionaries who would establish a dictatorship of reaction in this country. The issue, as I see it, is not communism. It is not whether socialism is right or wrong. The issue here is not the correctness of any "ism." The issue is whether or not we should curtail freedom of speech.